Needing a lofty score to win a gold medal, 18-year-old Nyjah Huston pulls off some complex tricks—a kickflip to frontside hurricane grind, a 360 flip to 5-0 grind and a nollie hardflip over the hubba ledge—to defeat rival Paul Rodriguez. The performance lifts Huston to the top of the ranks of the 2013 X Games’ Street League Skateboarding competition in Barcelona and cements him as the top athlete in the discipline. For fans, the X Games’ spring stop in Spain was just another showdown for dominance between two of skateboarding’s biggest stars. But the sold-out event demonstrated that skateboarding continues to emerge as a major sport, not just in the United States but globally. From humble beginnings, skateboarding has evolved into a multibillion-dollar industry that continues to grow. Though its pros now see wide media coverage, both on TV and the web, the sport hasn’t quite shed its roguish roots, though it is coming to terms with that aspect of its identity. 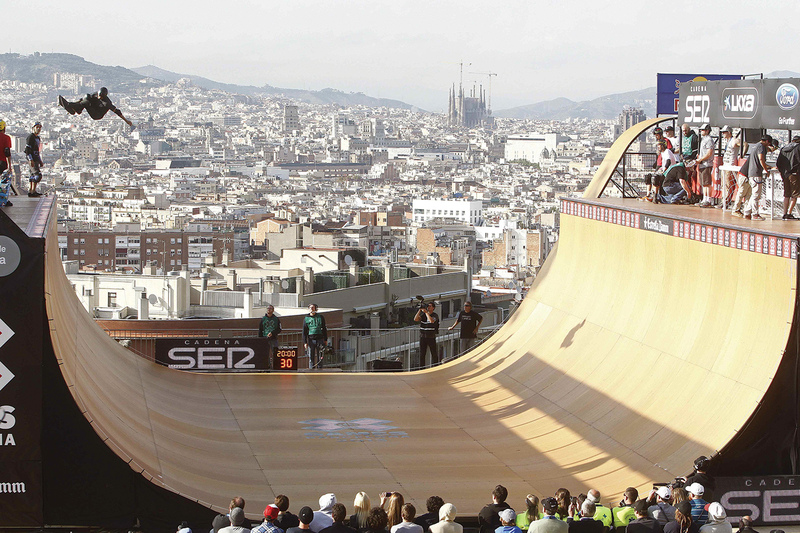 Today, skateboarding anchors the popular X Games and Dew Tour series, two of the largest in the sport. And with standard-bearers like Tony Hawk and Shaun White and young guns like Huston and Tom Schaar to carry the sport forward—not to mention robust clothing and equipment markets—skateboarding appears to have a bright future ahead. “From my perspective, skateboarding is one of the leaders in the action sports scene,” said Tim Reed, senior director of content strategy for ESPN, which produces and broadcasts the X Games. Skateboarding was one of the founding events at the original X Games in 1995 and remains one of its essential components. “It’s definitely an original, definitely a core sport,” said Chris Stiepock, vice-president of ESPN Global X Staging.